During this upcoming holiday season there is going to be a lot of presents being opened, a lot of family time and of course massive amount of special poker tournaments. That is right there will be a massive amount of poker tournaments going on and one of the best tournaments that we have found is from Bodog. That is right Bodog will be offering there holiday tournaments starting December 21st and will be lasting until New Years Day (January 1st) and the holiday promotion tournament is appropriately called the “12 Days of Poker”. There is a total of 45 separate tournaments that will be squeezed into the 12 days. Another gift from Bodog is they will be adding a total of $100,000 to the tournaments spread out between them all. Below is the list of tournaments that will be available to you starting on December 21st. Listed is when they start and how much the cost of entry will be. 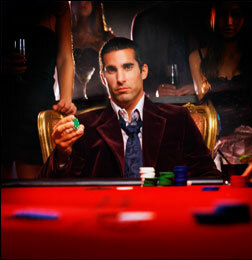 Also will be listed how much money Bodog will add to the guaranteed prize pool. Good Luck to you all and Happy Holidays.